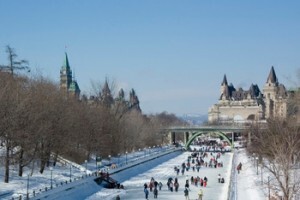 The diverse neighbourhood of Lower Town is bordered by the Rideau River and the Rideau Canal. Close to the Sandy Hill, New Edinburgh and Lindenlea communities, most housing can be found in Lower Town’s northeastern section. Lower Town will not disappoint you with its wide range of international restaurants found on Murray Street. Khao Thai serves delicious and inexpensive Asian food only five minutes from The Marlborough. Stop by for a burger at Chez Lucien, or try authentic North American aboriginal food at the ambient and upscale Sweetgrass Aboriginal Bistro. Byward Market is just to the south and offers entertainment and eateries. The Bytowne Cinema is a reasonable walk from Falling Waters and The Wallis House. Head down Rideau Street for great Japanese at Bento Sushi or tasty desserts, coffee and tea at Culinary Conspiracy. And if you’re in the mood for something more exotic, you won’t want to pass up the East African Restaurant. Not far from The Lanesborough on Besserer Street, St. Brigid’s Centre for the Arts holds concerts throughout the year. Close by is the breathtaking Notre Dame Cathedral Basilica. Completed in 1885, the cathedral’s gorgeous Gothic architecture is quite stunning to see. The National Gallery of Canada, a five minute drive from beautiful Nelson Street condominiums, has Canadian, contemporary and international collections of paintings, sculptures and photography. Several parks can be found around Lower Town. Bingham Park is one of the oldest parks in Ottawa. It is the site of the Lowertown Summer Festival on the first day of August. Want to find out more about Lower Town real estate? See what this community has to offer!